Let The Sunshine In - Easily! With modern motorized shades, controlling light has never been easier! 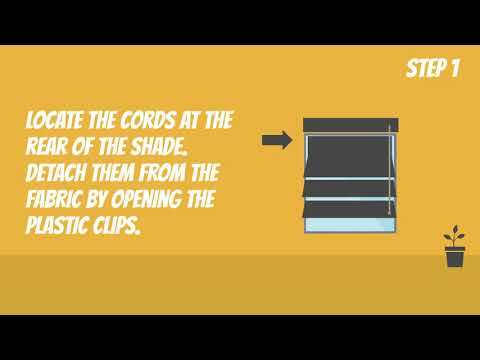 Useful information about motorized blinds and shades! Schedule your free consultation appointment today! Choose from our wide selection of motorized blinds and shades or design a custom set. Sit down with an automatic window covering expert who'll help you find the perfect motorized blinds for your home or office. Your new motorized window treatments will keep functioning for a very long time. From Somfy motors to Lutron products. Get the best motorized window shades available today. 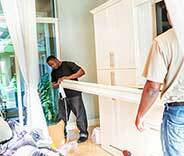 The closest motorized window treatments experts also happen to be the best. Choose from a wide selection of custom made shades to find the prefect automatic coverings for your windows! 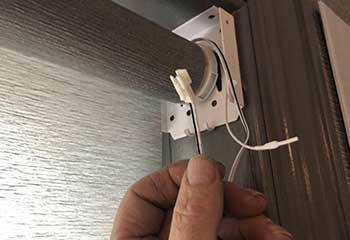 Why continue to struggle with manual blinds and their annoying and unreliable strings? Motorized blinds take the frustration out of things by allowing you to just use a remote or timer. Learn more here! Roller shades are a simple and straightforward way to complement any room modestly and are extremely customizable as well! They’re a great and affordable choice. Find out more about them by reading on here. Draperies are a classic and gorgeous addition to any room and come in a variety of types to best suit your needs! Our experts will assist you to find the best fit. Discover more here. Vertical blinds are a classic window covering choice that are easy to use and come in fabric, vinyl, and even wood varieties to suit your needs. You can find out more about them here! Cellular shades offer a variety of benefits outside of just covering your windows to keep out sunlight when it’s unwanted! You can find out more information about them by reading on further here. Whether you’re looking for something elegant and refined, or a more beautifully natural look, our professionals can assist you with our Roman and woven shade options! Learn more about each type by reading here. Silhouette and pirouette shading styles require little space and are a fresh new way to easily allow in natural light while still having the option to close them completely as needed. Learn more here! Skylights are too high up for manual window coverings, which is where our excellent motorization feature comes in! With a press of a button, you can easily open and close them. Discover more here! Get the most out of your blinds and shades and ensure that your home is as energy efficient as possible by getting the perfect control. You can learn more about the various options here. The benefits of automatic blinds make them ideal for all sorts of rooms. Automatic shades allow you to utilize Wi-Fi or even voice commands (Alexa, Google Home, etc) to open and close your window coverings. Read more here. Having some sort of blinds or shades in place throughout your household is important. Why? For a variety of reasons. From saving energy to avoiding sun bleaching your furniture. If you're looking for budget blinds near LA, Motorized Blinds & Shades is more than happy to lend you a hand. Let us help you discover what style of automated window treatments best suit each room. This includes residential and commercial properties. From cellular shades to vertical blinds. All types of coverings are available in custom designs and measurements. 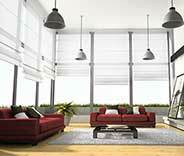 Motorized blinds and shades mean relinquishing the use of cords and strings. Cordless window blinds can be manual, but the automatic variation is much better. All you’ll need to open and close the shades will be a remote control, or - depending on the model - your smartphone! This is the perfect solution for windows that are too high out of reach for manual strings. Motorized shades help to ensure you can keep the sun out as needed. They're also great and safe for rooms such as a nursery. where you need to be able to open or shut the blinds in silence. Timer settings allow you to open or close the motorized blinds on intervals or at certain hours. You can program the automatic window treatments to close at bedtime and open when you need to wake up. Let nearby blinds and shades experts help you decide. The LA-based team at Motorized Blinds & Shades will answer all your questions. Consult with us to find the perfect motor and control models for your needs. Whether you live near Glendale or Pasadena, you can always call us for window shade-related advice. 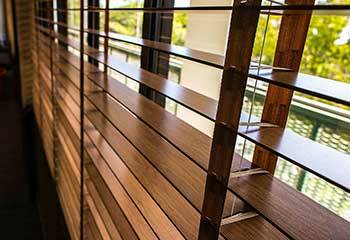 From sleek and modern wooden blinds to elegant and eye-catching cellular shades. Motorized Blinds & Shades offers free consultation appointments to anyone close to the LA area. Sit down with a window treatment pro to design a set of custom motorized roller shades. 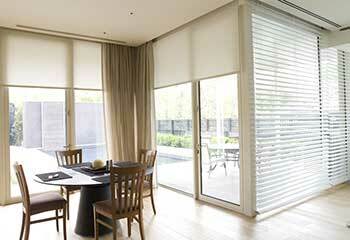 You can also choose automatic cellular shades or any other type of window covering. All options are available at affordable rates. Whether you’re looking for budget motorized vertical blinds or a set of pleated Roman shades! Every decor choice has a stylistic match. You don’t have to be this close to us. You can live somewhere close to Santa Monica or even farther out. The experts at Motorized Blinds & Shades happily assist every home or business owner find the best automatic window coverings for them. But if you do live in West Hollywood or close to it, prepare to get elated. You can design a custom set of motorized shades perfect for your interior decor. And you can do it with a free consultation. Keeping prices low and material quality high has made us here at Motorized Blinds & Shades very popular. But you’re always guaranteed to get the best advice, product, and help, regardless of where you are. Looking for help cheap faux wood or wooden blinds for your business? Cheap in price only, of course. In quality, they'll be astounding. Motorized Blinds & Shades is the nearest window treatment automation company you need! Electric blinds are great for a professional work environment such as an office or a restaurant, for example. But finding window treatments to complement the surrounding decor can be hard. Let us help you! Consult with us to find custom motorized blackout shades or window blinds that do the trick. Ensure that you get the finest blinds or shades available! From vertical window blinds to flat or pleated Roman shades and more. All window coverings can be automated with the help of the team here at Motorized Blinds & Shades. 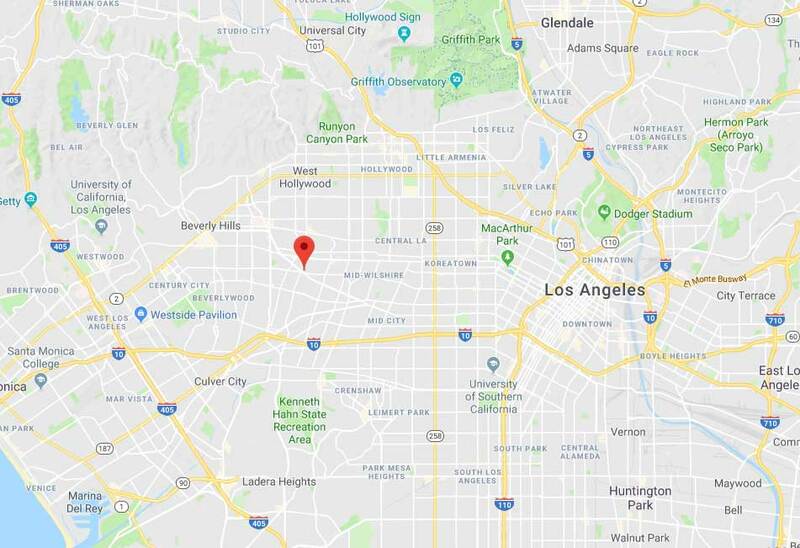 From Sherman Oaks to Calabasas, anyone close to LA or in nearby counties is welcome to call us. Schedule a free consultation today! Call Motorized Blinds & Shades today to set up a free consultation appointment. You want to have your new window treatments installed by professionals. That way, you don't have to worry about them failing after a couple of days. Using products made by brands like Somfy and Lutron, and custom making your set of shades or blinds says it all. Anyone near the Los Angeles area can get beautiful budget blinds made from high-quality materials. 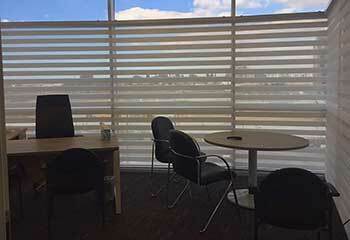 All you need to do is contact Motorized Blinds & Shades for a free face-to-face. A wide selection of styles, materials, and colors! Warranty you can count on – 5 years to life! Here below you can take a look at some of our most recent projects! Check out how we helped Ms. Heintz when she was looking for remote-enabled motorized blinds. Client wanted customized cellular shades with a good lighting control for her downtown office in Bel-Air. Here's our recommendation. Client wanted to combine a soft-fold look with the convenience of shades. Here's what we recommended. This homeowner struggled with a living room that's overly exposed to the sun. Here's how we jumped in to help. This customer wanted a heavier window treatment that relies on an AC motor. Here's what we offered. 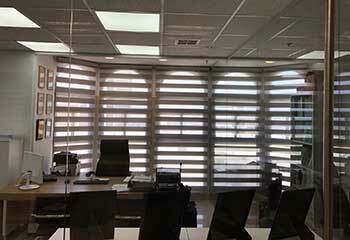 A business in Los Angeles needed 20 motorized blinds installed in his downtown office. Here's how we helped. I never knew I could get layered shades in a motorized model before I called your company. My kitchen windows look beautiful, and are so easy to operate now. Definitely recommended! It has been a pleasure working with your team from start to finish. We got automatic roller blinds for our high-up windows, and they look fabulous. Good price, great service. Thank you so much! We absolutely love our new motorized draperies in the living room. Thank you for helping us make the perfect choice at a great price, we’ll definitely recommend your products! 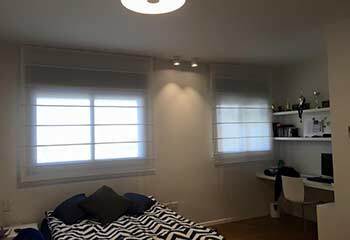 Automatic blinds, shades and draperies near your area. Motorized Blinds & Shades is here to help anyone near the Los Angeles area find the perfect blackout blinds or light filtering shades for their needs. Looking for budget blinds made of high-quality materials? You’ve got it. From vertical wooden blinds to motorized roller shades. Custom window coverings in a huge range of colors, sheer and opaque fabrics, and beautiful designs. For both residential and commercial properties. Contact us to meet with a blinds and window shades expert for a free consultation. Wondering what kind of blinds will best suit your needs? Not sure if we have what you are looking for? Please leave your contact information here blow and one of our experts will get back to you shortly. Motorized Blinds & Shades is at your service. Our goal is to make sure our customers get only the best when it comes to quality, service, and products. Our experts will be happy to answer any question, any time! Thank you for choosing Motorized Blinds & Shades! Until we meet, browse our website for more information and ideas!